I first came across Sifu CS Tang when I was searching the web for xingyiquan and baguazhang material related to the famous Taiwan based martial artist Wang Shujin. 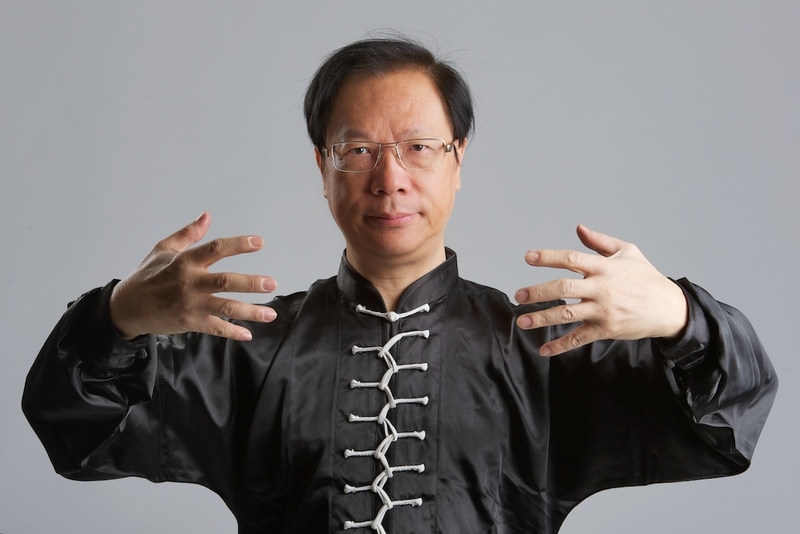 From his Yang Xin studio in Hennessy Road, in the Wanchai district of Hong Kong , this stalwart of the local martial arts community offers classes in Gao & Cheng style baguazhang, Yi Quan, Yang, Wu & Chen taijiquan, xingyiquan and pak mei. His rather chaotic looking web site and on-line store is a treasure trove of material related to the “internal” arts. It includes some excellent material based on his own, 40 years of experience, training in martial arts with renowned teachers from Hong Kong, Taiwan and the mainland. CS Tang: Back in the day! 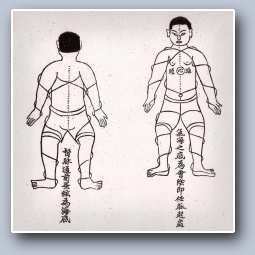 Along with taijiquan and baguazhang, xingyiquan – “Form/Intention Boxing”, or “Shape/Will Boxing” – is one of the major “internal” / Nèijiā Chinese martial arts and I became interested in it following a serious bout of illness that left me disillusioned with the Yang family taijiquan that I’d practiced. I wanted to stay in the Nèijiā world but wanted something more aerobic, more dynamic. Xingiquan fitted that definition but it was hard to find someone who taught the system in depth. Having discovered that Marnix Wells , a student of Wang Shujin, has studied Wang’s xingyiquan, alongside his baguazhang, I looked him up and my own journey began. Since then I have encountered various teachers of xingyiquan, including Alex Kozma, but sadly have been unable to maintain a consistent approach to learning the art. However, while I maintain my training in Chen shi taijiquan I keep returning to the Five Elements that form the basis of xingyiquan. I enjoy the challenge of the aggressive, seemingly linear movements; the timing and coordination needed to generate bursts of power; the simultaneous attacking and defending. One day I might even get even master a couple of the 10/12 sequences based upon the movements and fighting behavior of various animals. So, on returning to The Mysterious Power of Xing Yi Quan let’s first of all establish that you cannot learn this art from a book. You need a teacher. That said, this book does deliver the flavour of xingyiquan. 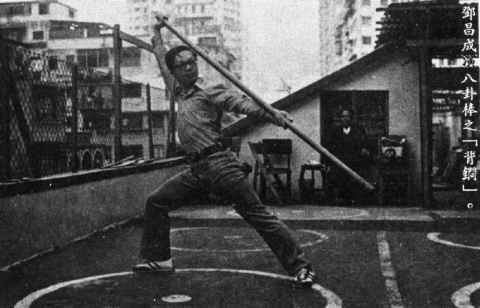 Sifu Tang traces it’s complex history and he takes us down his own own path of learning, from his initial teachers in Hong Kong, where the practiced on rooftops and weapons were restricted to the pole due to lack of lighting (!) to the mainland and the home of Song Family xingyiquan in Taigu City, Shanxi province. ABOVE: Song Style Xingyi Quan at the Zhao family house in Dong-Gua shanxi, 1996. That said, The Mysterious Power Of Xing Yi Quanis not a historical travelogue. It is a very detailed reference book and training manual dealing with Hebei xingyiquan. Along with spelling out the specific alignments and the nature of the movements, each section is backed up with clear, sequenced photos of the various forms – from the single elements (metal, fire, water, earth, wood) to the linking forms, two person sets & weapons – that make up xingyiquan. Sadly, not all of us can afford to board that plane to go and train in Hong Kong or Shanxi and would therefore suggest that the author puts together a selection of DVDs that complement the content of the book and offer more specific, detailed information and training tips. 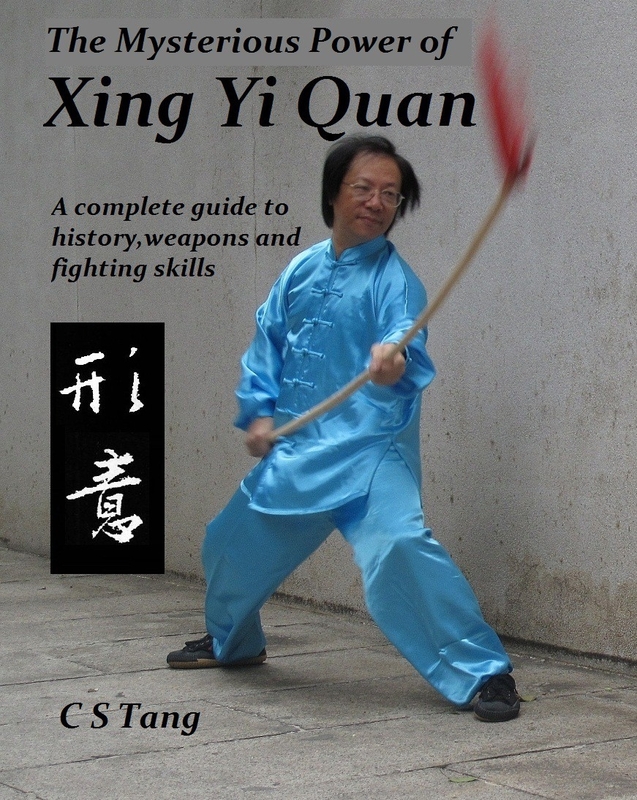 However, as there is a comparatively small library of written works , in English, on xingyiquan, anyone who is training in the art will undoubtedly find this book informative and useful. This entry was posted in Wushu and tagged Alex Kozma, bagua zhang, CS Tang, Feng Zhiqiang, Gao Baguazhang, Hebei, Hong Hong, Line Of Intent, Liu Jing Ru, neijia, Shanxi, Song Shi Rong, Sun Lu Tang, taijiquan, Wang Shujin, xing yi quan. Bookmark the permalink. 1 Response to Exploring The Mysterious Power of Xingyiquan by Sifu C S Tang.